Hate on McDonald’s all you want, they’re nowhere near as bad as the kind of jerk who would place a phony bid during a charity auction. 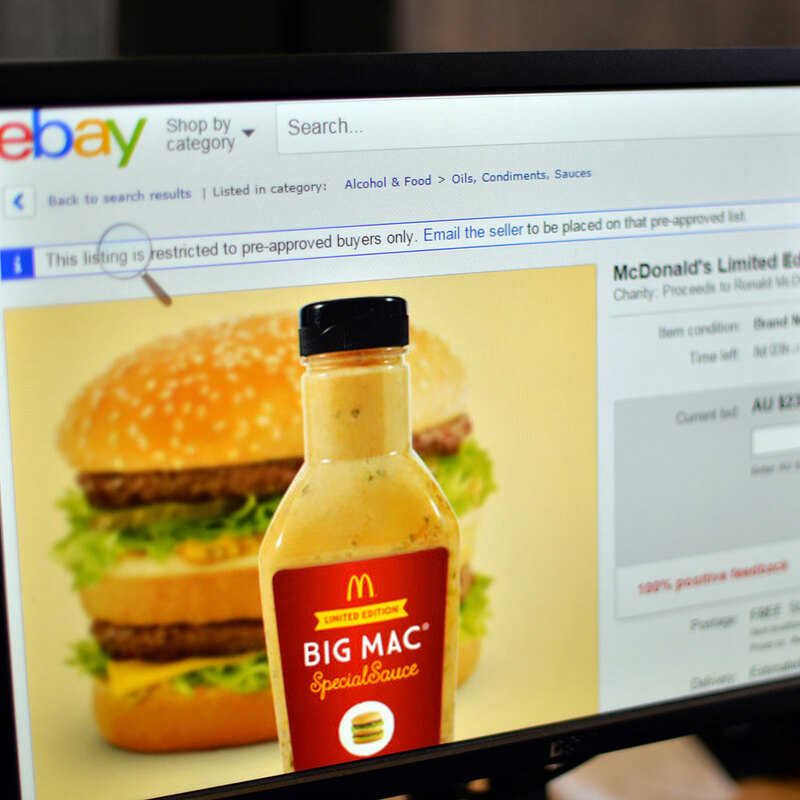 Last week, McDonald’s made headlines when a 25-ounce bottle of Big Mac Sauce the burger chain was auctioning off for charity in the UK sold on eBay for a final bid of £65,900—or approximately $94,000. At the time, the media marveled that fast food sauce would go for such a steep price, no matter how “secret” the recipe behind it may be. But then again, the auction was for a good cause, with 100 percent of the proceeds going to Ronald McDonald House Charities, so maybe someone out there just had a really kind heart as well as an affection for McDonald’s take on Thousand Island dressing. Sure, it’s insane to think that someone would pay nearly $100,000 for a bottle of sauce you could just as easily scrape off a few Big Macs. But even the Hamburglar would be disgusted by someone placing fake bids in the name of ripping off a charity. I hope they find the guy who did this. I think a fitting punishment would be to make him chug that 25-ounce bottle of Big Mac sauce.